Because some fellow students asked for it I’ve written a tutorial on how to etch your own circuit boards. WARNING: In the etching process acid is used. USING THIS TUTORIAL AND THE GUIDELINES IS ON YOUR OWN RISK. I’ll point out some of the things you should take care of but I can not be held responsible for accidents. When you need to make a lot or very complex circuit boards but do not have the time to wait for professional circuit boards to be made there’s another option. You can make them yourself. It’s a tricky process and it will require some practicing. If you have the time to wait for professional circuit-boards, just wait. If you have a very simple schematic like a voltage regulator just make it with an ordinary euro-board. But as soon as you need to have a lot of circuit-boards, a very complex and big one or a reliable one in 2 days, this can be an excellent tool. 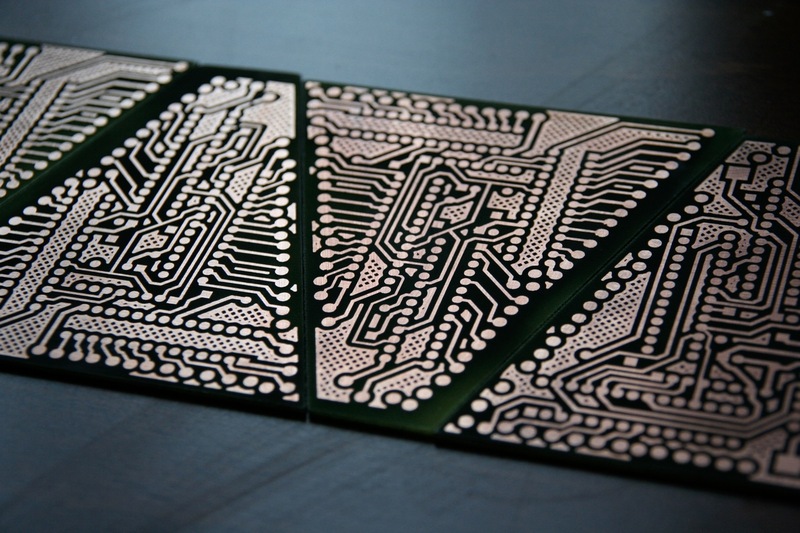 – maximum of 2 layers: professional circuit-boards can have up to 12 layers of traces, home etched circuit-boards can have a maximum of two layers. 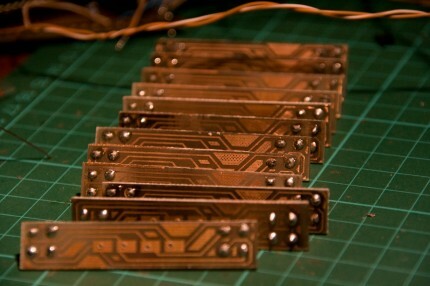 Therefore with the more complex circuit-boards you’ll have to do a few traces with wires by hand. 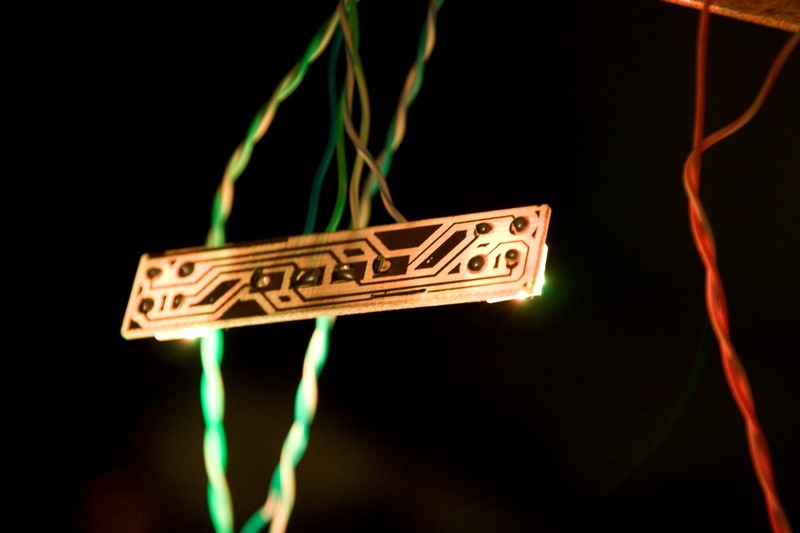 – you can’t use vias: Vias are small holes that interconnect the layers. For example the top layer and the bottom layer. 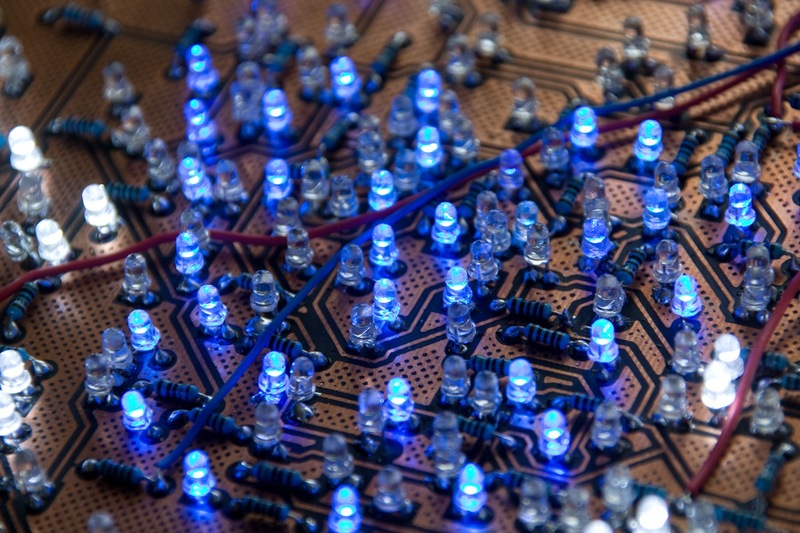 Because there is no interconnection between the layers in our circuit board you’ll have to solder the top and the bottom of the component. – SMD components are possible but you’ll have to be very careful. – home-made circuit-boards are cheap. There are different ways to make circuit boards. We’ll use the Toner-Transfer Method. Toner is the material that is used in laser printers. We can use the “melting and sticking” property of toner to transfer the circuit mask from the paper to the circuit-board. – Access to Laser printer – You need to have a laser printer capable of printing on photo paper. It does not require a special photo printing functionality but it has to allow thick paper. – Photopaper – Photopaper bleeds a lot less than regular paper and therefore is much more suitable to use when you need thin well defined traces. Don’t buy premium quality photo paper because you won’t be able to soak it off later. I usually use HEMA 170 gr glossy paper. – Latex gloves – for protection!!! – Safety goggles – You don’t want to have the acid in your eyes!!! – Epoxy Circuit board – Just ordinary circuit board. single or doubled sided. make sure to buy one WITHOUT photosensitive layer. Just in case: This is circuit board without pre-drilled holes. Available at Brigatti. – Two etch trays – You’re going to use the “au bain-marie” method to keep the etching solution hot. So one big and one small tray. – 1,5 liter bottle preferably glass. To put the etching fluid in after use. – PLASTIC!!! pincer or other tool to stir. – Sanding paper 600 or 1000. After you’ve gathered all the stuff let’s start. First you need to have a circuit. You can make these with EAGLE. I usually use Diptrace. It’s easier to use but doesn’t have a big library like eagle. When designing the board make sure to make the pads and traces a bit bigger than standard. Also test print it on regular A4 just to see if your parts fit. When you’re ready you can export the board and print them on the photo paper. If the printer has an economy/draft function turn it off. Also make sure that you mirror one of the two sides of the circuit-board because the paper will be on the circuit-board upside down. 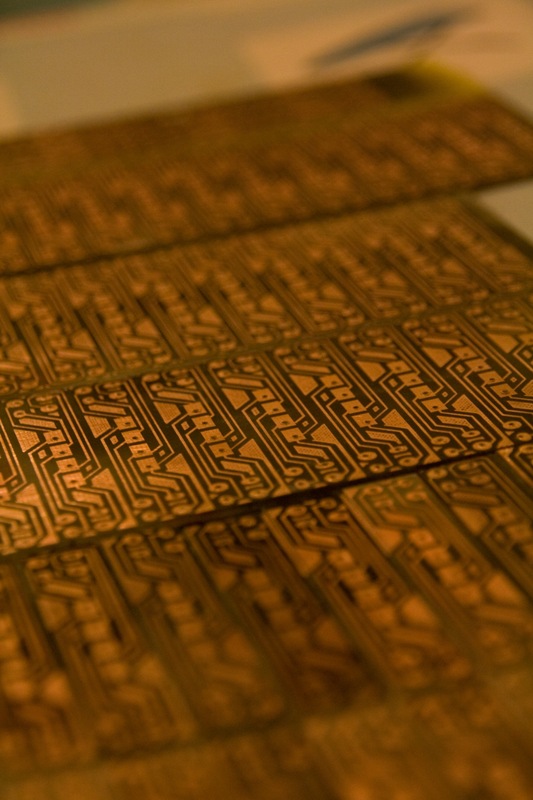 Let’s assume you want to make a double sided circuit-board. The challenge is to line up the top layer and the bottom layer. One way to do this is the following: Line up the front and the back layers of photo paper. This can easily be done by shining light from a lamp through both layers of paper. When they line up drill one hole in the upper right and a hole in the lower left corner of the paper. Take the top layer and put it on top of the circuit-board and drill holes in the circuit-board through the top layer paper. 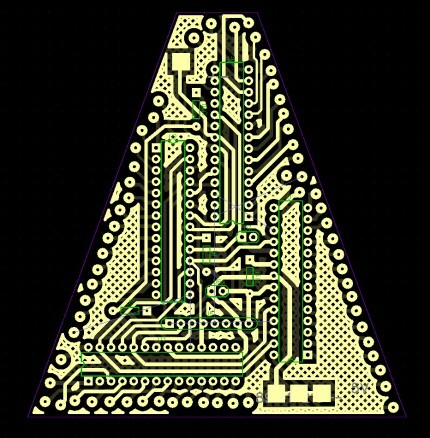 Now you can use the holes in the bottom layer to line it up with the circuit-board and the top layer. 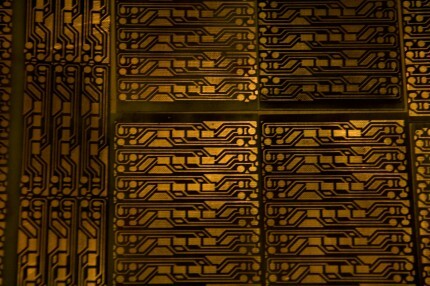 You have to clean and sand the top and bottom of the circuit-board till it shines. Otherwise the toner won’t hold. Put the top layer on the circuit-board (toner side down) and use the iron (highest setting) to melt the toner so that it starts to stick onto the circuit board. Make sure that every spot of the paper is properly heated by applying pressure with the tip of the iron. It can take over 2 minutes. When you start seeing the traces shine a bit though the paper it usually is an indication it worked. This is a very important step! When you want to make a double sided circuit board do the other side when it has cooled down. 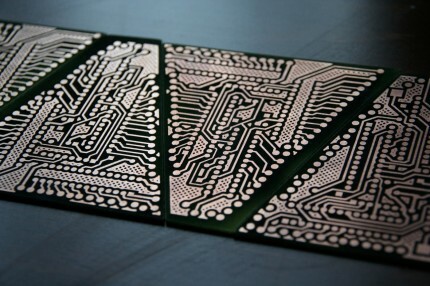 After both layers of paper stick to the circuit-board you can toss them in bowl of warm water. Leave it for 20 minutes and then gently try to remove the top layer of the paper. When you see toner traces on the paper instead of on the circuit-board you’ve not ironed it hot enough. The last, very thin layer of paper, is tricky. You can use a toothbrush or the rounded edge of a knife (aardappelschilmesjes) to scrape the paper layer off. When you dry the circuit-board you can see where there’s still paper in between the traces, You can leave a bit of paper on the toner but not on the copper. When you have the circuit board with the toner on it without any broken traces you’ve had the most tricky part of the process. When you use Ammonium Persulfate you have to keep the water at 50-80 C for the reaction to run. When you let it cool down under 20 C it’ll crystalize and it can become useless. To prevent this you can use a tray in a tray (au bain-marie). The inner tray is used for the water with the solved etching salt and the other tray is used to keep the inner water warm. When you have a separate heater you can just put it into the outer tray. If you only have a water boiler you can replace the outer tray water with hot water a few times. MAKE SURE YOU DO THIS IN A WELL VENTILATED AREA!!! Dissolve the etching-salt in water (220gram for 1 liter). Once it is dissolved you can put your circuit-board in. The acid will etch away the bare copper. It can take up to 40 minutes depending on the size, temperature and concentration. Flip the circuitboard every now and then and make sure the water stays hot. As the etching progresses the water will turn turquoise. 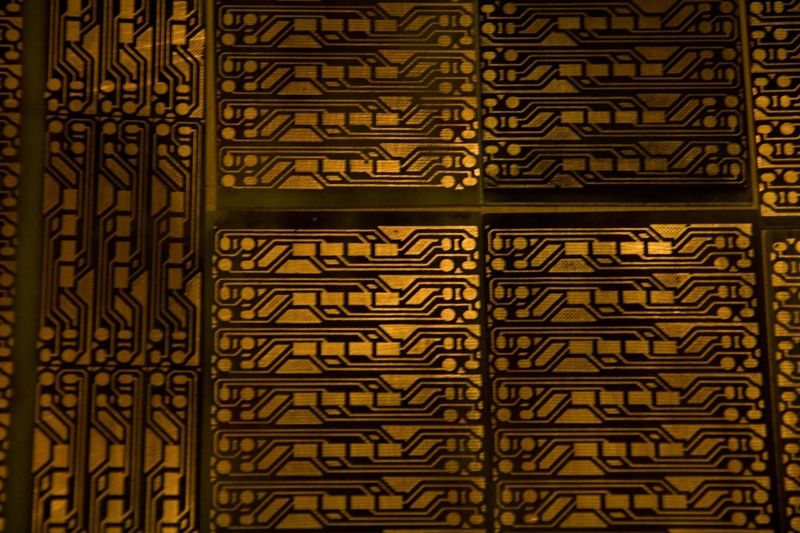 After some time you’ll be able to see through the circuit-board because all the copper is gone. That’s when the circuit-board is ready. Take it out of the etchant and wash it with ordinary water to stop the reaction. Put the water with ammonium persulfate in a bottle and dispose it at the special chemical facilities. You can remove the toner from the circuit-board by using acetone and an old cloth. Only thing left are the holes in the circuit-board and that’s it! Optionally you can spray some special lacquer on top of you print to protect it from eroding which can trouble soldering it after a while.